<h2>Could hacking the immune system cure allergies?</h2><br /><p>More than 150 million Europeans suffer from allergies and this number is on the rise due to triggers such as growing pollution. By 2025, one in every two people in the EU could be affected by allergies, according to the European Academy of Allergy and Clinical Immunology.</p> <p>Allergies are most commonly treated by taking lifelong medication, such as antihistamines, that relieve symptoms like red eyes and a runny nose. However, about 5-10% of sufferers use another type of treatment called immunotherapy, where the immune system is desensitised to specific allergens, which can eventually cure allergies.</p> <p>The process can be quite cumbersome though. Although drops or tablets can sometimes be administered under the tongue, frequent visits to the doctor for shots are more typical. Patients start with a low dose of the allergen which is gradually increased over several years.</p> <p>‘It requires quite a lot from that patient, so that’s probably one of the reasons that it isn’t the most popular treatment,’ said&nbsp;<a href="https://www.amc.nl/web/research-75/person-1/prof.-dr.-r.-van-ree.htm">Dr Ronald van Ree</a>&nbsp;from Amsterdam University Medical Center in the Netherlands. ‘If you do injection immunotherapy you have to do it for at least three years.’</p> <p>Furthermore, some patients can have side effects such as skin reactions or may not choose the treatment since the cost isn’t covered by public healthcare in all countries.</p> <p>Dr van Ree and his colleagues aim to make immunotherapy more effective and faster, while reducing the secondary effects that can occur during treatment.</p> <p><strong>Birch pollen</strong></p> <p>They are doing this through a project called&nbsp;<a href="https://cordis.europa.eu/project/rcn/110063/factsheet/en">BM4SIT</a> where they are focussing on birch pollen allergy,&nbsp;triggered by a specific pollen protein allergen. In lab experiments and animal tests they have already lowered the occurrence of side effects.</p> <p>&nbsp;‘We have modified this molecule slightly in such a way that it doesn't give the side effects anymore as easily as the original molecule,’ said Dr van Ree.</p> <p>The team is now testing the tweaked allergen in patients in Denmark.</p> <p>They are also looking at adding vitamin D3 to the treatment, which has been shown to have a protective effect against allergies.</p> <p>‘We hope that the addition of vitamin D3 will change the speed by which the effect is reached so that it will be reached quicker and that we will need less injections,’ he said.</p> <p>Now, the researchers are conducting a study with patients in Amsterdam to compare the effect of an existing birch pollen treatment when administered alone and when vitamin D3 is injected alongside it. If the trials are successful, they’d like to bring together the vitamin and altered birch pollen molecule to test their combined effect.</p> <p>While the team began with birch pollen because it involves a single protein, they hope the principle can be extended to treat other allergies. Cat allergies, for example, also involve one molecule. For grass pollen and house dust mite allergies, where several molecules are responsible, each one would have to be redesigned.</p> <p><strong>Asthma</strong></p> <p>The approach could have big payoffs. If the current study goes well, Dr van Ree plans to next focus on treating house dust mite allergy – the most common allergy globally. This allergy is more severe than other forms since it affects the lungs, rather than the eyes, nose or skin and can also trigger allergic asthma.</p> <p>Henk Viëtor, the CEO of biotech company&nbsp;<a href="http://www.dc4u-technologies.nl/">DC4U Technologies</a>&nbsp;in Amsterdam, said that if scientists could find a way to use immunotherapy to treat asthma it would bring ‘something completely new to the table’.</p> <p>‘Immunotherapy is almost never effective for asthmatic symptoms,’ he said.</p> <p>To that end, Viëtor and his team have developed a technique that could make immunotherapy more effective for asthma.</p> <p> <div class="quote-view quotesBlock quote_horizontal"> <div class="quotesTop"><img src="https://horizon-magazine.eu/sites/all/themes/horizon/images/quotes_top.png" alt="" title="" /></div> <p>‘Immunotherapy is almost never effective for asthmatic symptoms.’</p> <blockquote><p>–	Henk Viëtor, CEO, DC4U Technologies</p></blockquote> <div class="quotesBottom"><img src="https://horizon-magazine.eu/sites/all/themes/horizon/images/quotes_bottom.png" alt="" title="" /></div> </div> </p> <p>Existing immunotherapy uses the raw extract of an allergen dissolved in liquid which is then injected into a patient. But Viëtor and his team have been experimenting in the lab by adding sugars to specific parts of allergens used in the treatment which bind to receptors on immune system cells.</p> <p>The allergen-sugar combination re-educates the immune system so that an allergen no longer induces an allergic reaction. ‘We think our technology can really provide a cure for patients with allergies,’ Viëtor said.</p> <p>He believes the innovation should improve immunotherapy for a wide range of allergies, including house dust mite and peanut, and dramatically decrease the duration of the treatment from about three to five years to three to five months.</p> <p>‘We think that with only two or three shots, just like vaccines for infectious diseases, we can really shorten the experience and make it very effective,’ said Viëtor.</p> <p>The team explored how to bring their innovation to the market through partnerships with pharmaceutical companies to co-develop new treatments as part of the <a href="https://cordis.europa.eu/project/rcn/208141/factsheet/en">GAIT project</a>.</p> <p>They are currently negotiating with several companies that have existing immunotherapy products and have already struck a deal with one company whose product they have modified using their method. ‘We are already trying to get more evidence that our technology works,’ said Viëtor.</p> <p>He and his colleagues are currently following up with lab experiments on cells and in animals to develop a proof of concept. If they are successful, they will continue with clinical trials.</p> <p>‘The incidence of allergies is rapidly increasing so I think that innovation in this field is urgently needed to prevent an epidemic in allergies and asthma,’ said Viëtor.</p> <p><em>The research in this article was funded by the EU. If you liked this article, please consider sharing it on social media.</em></p> <br /> <img src=”http://www.google-analytics.com/collect?v=1&tid=UA-40077089-1&cid=could-hacking-the-immune-system-cure-allergies&t=event&ec=republish&ea=read&el=could-hacking-the-immune-system-cure-allergies&cs=republish&cm=republish&cn=republish&cm1=1" /> This post <a href="https://horizon-magazine.eu/article/could-hacking-immune-system-cure-allergies.html">Could hacking the immune system cure allergies?</a> was originally published on <a href="https://horizon-magazine.eu/">Horizon: the EU Research &amp; Innovation magazine | European Commission</a>. More than 150 million Europeans suffer from allergies and this number is on the rise due to triggers such as growing pollution. By 2025, one in every two people in the EU could be affected by allergies, according to the European Academy of Allergy and Clinical Immunology. 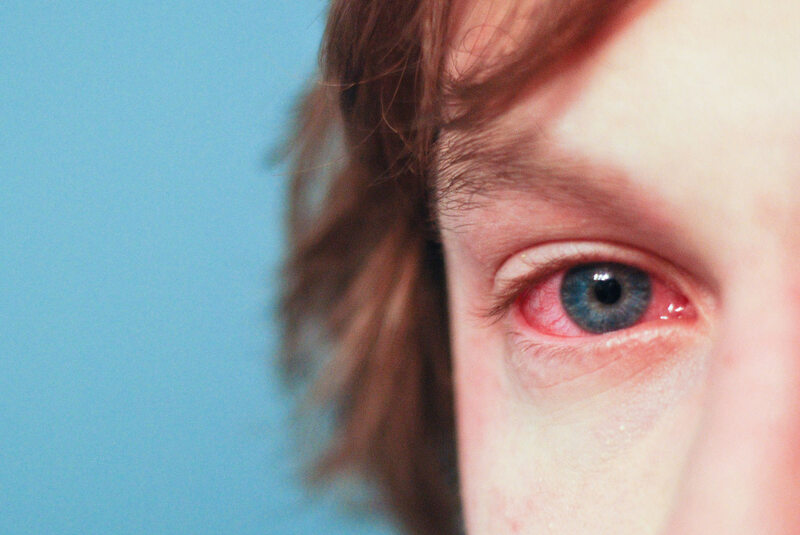 Allergies are most commonly treated by taking lifelong medication, such as antihistamines, that relieve symptoms like red eyes and a runny nose. However, about 5-10% of sufferers use another type of treatment called immunotherapy, where the immune system is desensitised to specific allergens, which can eventually cure allergies. The process can be quite cumbersome though. Although drops or tablets can sometimes be administered under the tongue, frequent visits to the doctor for shots are more typical. Patients start with a low dose of the allergen which is gradually increased over several years. Furthermore, some patients can have side effects such as skin reactions or may not choose the treatment since the cost isn’t covered by public healthcare in all countries. Dr van Ree and his colleagues aim to make immunotherapy more effective and faster, while reducing the secondary effects that can occur during treatment. They are doing this through a project called BM4SIT where they are focussing on birch pollen allergy, triggered by a specific pollen protein allergen. In lab experiments and animal tests they have already lowered the occurrence of side effects. ‘We have modified this molecule slightly in such a way that it doesn't give the side effects anymore as easily as the original molecule,’ said Dr van Ree. The team is now testing the tweaked allergen in patients in Denmark. They are also looking at adding vitamin D3 to the treatment, which has been shown to have a protective effect against allergies. ‘We hope that the addition of vitamin D3 will change the speed by which the effect is reached so that it will be reached quicker and that we will need less injections,’ he said. Now, the researchers are conducting a study with patients in Amsterdam to compare the effect of an existing birch pollen treatment when administered alone and when vitamin D3 is injected alongside it. If the trials are successful, they’d like to bring together the vitamin and altered birch pollen molecule to test their combined effect. While the team began with birch pollen because it involves a single protein, they hope the principle can be extended to treat other allergies. Cat allergies, for example, also involve one molecule. For grass pollen and house dust mite allergies, where several molecules are responsible, each one would have to be redesigned. The approach could have big payoffs. If the current study goes well, Dr van Ree plans to next focus on treating house dust mite allergy – the most common allergy globally. This allergy is more severe than other forms since it affects the lungs, rather than the eyes, nose or skin and can also trigger allergic asthma. Henk Viëtor, the CEO of biotech company DC4U Technologies in Amsterdam, said that if scientists could find a way to use immunotherapy to treat asthma it would bring ‘something completely new to the table’. ‘Immunotherapy is almost never effective for asthmatic symptoms,’ he said. To that end, Viëtor and his team have developed a technique that could make immunotherapy more effective for asthma. Existing immunotherapy uses the raw extract of an allergen dissolved in liquid which is then injected into a patient. But Viëtor and his team have been experimenting in the lab by adding sugars to specific parts of allergens used in the treatment which bind to receptors on immune system cells. The allergen-sugar combination re-educates the immune system so that an allergen no longer induces an allergic reaction. ‘We think our technology can really provide a cure for patients with allergies,’ Viëtor said. He believes the innovation should improve immunotherapy for a wide range of allergies, including house dust mite and peanut, and dramatically decrease the duration of the treatment from about three to five years to three to five months. ‘We think that with only two or three shots, just like vaccines for infectious diseases, we can really shorten the experience and make it very effective,’ said Viëtor. The team explored how to bring their innovation to the market through partnerships with pharmaceutical companies to co-develop new treatments as part of the GAIT project. They are currently negotiating with several companies that have existing immunotherapy products and have already struck a deal with one company whose product they have modified using their method. ‘We are already trying to get more evidence that our technology works,’ said Viëtor. He and his colleagues are currently following up with lab experiments on cells and in animals to develop a proof of concept. If they are successful, they will continue with clinical trials. ‘The incidence of allergies is rapidly increasing so I think that innovation in this field is urgently needed to prevent an epidemic in allergies and asthma,’ said Viëtor.